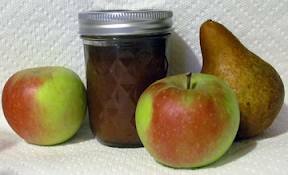 Learn how to make homemade applesauce or Pear Butter that is much tastier than store bought, perfect for school lunches or serving with latkes. Please bring 4 x 250ml jars and any apples (from your own apple trees only please).Fingers crossed we will be using apples or pears from the Gleaning program. More summer in a jar! We’ll be making jam the old-fashioned way. Long boil style, with the wrinkle test and thermometers, and canning it using a boiling water bath. 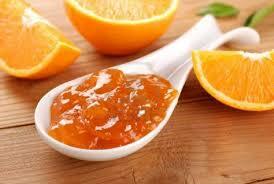 Alison will demonstrate jelly-making, and we’ll put up one kind of marmalade. There will be a discussion on the various pectin levels of different fruits at different times of the year. Pickled foods offer intense flavours to enhance your winter diet. By preserving local crops now when they are at the height of freshness, you can capture their best flavour and nutrition. Come learn some new skills, and join us for a fun evening of pickling. We’ll put up whatever’s ready—probably beans and beets—using the boiling water bath method. Beginners and experienced picklers welcome. Please bring at least four 500ml canning jars. Galiano summers yield an amazing variety of tree fruits and berries, available from our farmers, through our Gleaning program and in your own backyard. 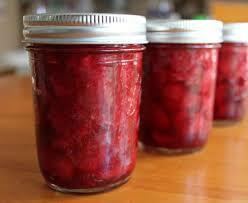 Making jam is a great way to capture the taste of summer in a jar to brighten up those dark winter days. Making jam can be daunting if you’ve never tried it. But there are different methods, and some are very easy. In this class we will be using commercial pectin and the only skills needed are the ability to measure a few cups of fruit, and the ability to time a boil—skills everyone has. That’s it. No thermometers, no wrinkle tests. Using some commercial pectins also gives you the freedom to use honey or skip the sugar all together—things not possible with traditional long boil jams. As an experiment, last year I acquired seeds for ten varieties of wheat and four of barley from Salt Spring Seeds and other sources and planted a small test row of each variety in my garden. After initial watering no further water was provided to the growing grain other than rainfall. Germination rates varied among the varieties but all produced grain, which was harvested in late September. In addition to the amount of grain produced, I wanted to see how susceptible the different varieties were to “lodging”, i.e. falling over in wind or rain due to height and top-heaviness of the seed head. 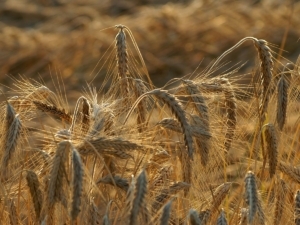 Wheat breeders for many decades have selected for shorter, sturdier plants, and more recently for hull-less and bristle-less seed heads to make threshing easier. Wheat and other grains were being grown on the Saanich Peninsula and the Gulf Islands in the late 1880s, but the availability of mass-production prairie-grown grain put an end to the practice. There has recently been a mini-revival of grain growing on Vancouver Island, and The Roost bakery and cafe on East Saanich Road sells bread made from locally grown wheat. Who knows, we may see a grain-growing revival on Galiano too!